Two valuable under-bridge access machines in our rental fleet are the Bridgewalker Type I and II. These are our own patented units, and designed to excel in a wide range of circumstances. The Bridgewalker Type I offers the smallest working footprint with a variety of configurations. The Bridgewalker Type I requires only 3 ft width, and is self-propelled to move down a working path as needed. Though small, it still boasts an under-bridge payload capacity, and capability, equal to many larger UBITs. 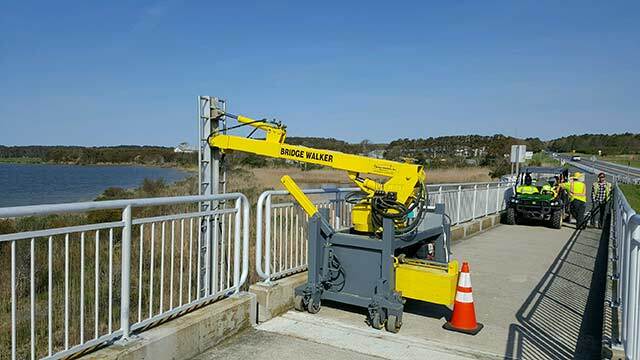 Developed and patented by Bridge Master Inc., our Bridgewalker Type I was created to meet a specific range of requirements that we could not find in other available units. All components are manufactured in the USA. The unique design and purpose of the Bridgewalker Type I unit is to operate in tight spaces where other cranes are not able. This may be the perfect solution for your next limited space utility or inspection project. The Bridgewalker Type II is a versatile, medium-scale trailer-mounted UBIT with maximum load capacity. 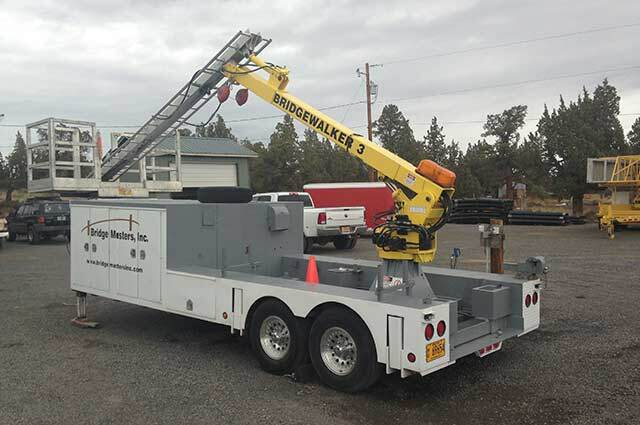 The Bridgewalker Type II incorporates a gooseneck trailer with a two-level safety deck. There is fore and aft tool storage, engineered for quick and efficient access. Safety stairs are located on either sides of the main deck for optional lane staging positions. Includes built-in auxiliary compressors. 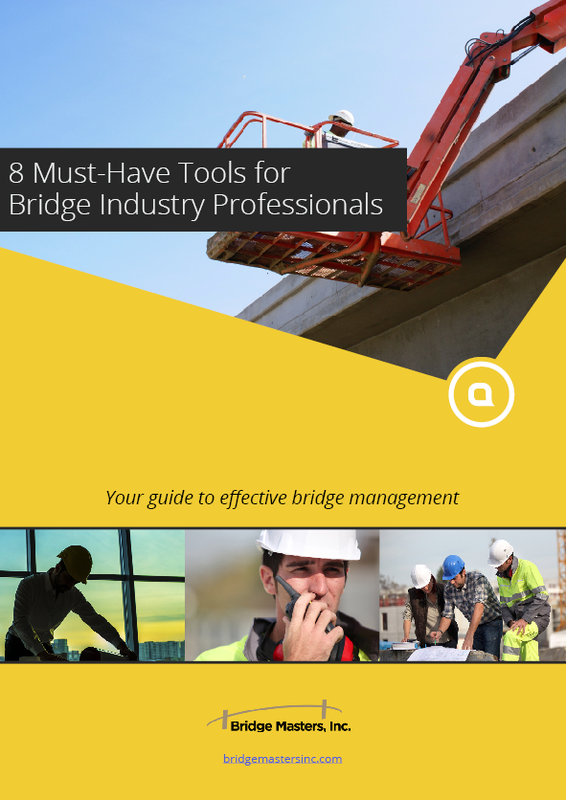 Our Bridgewalker Type II was developed and patented by Bridge Master Inc. It was designed to offer the latest operational safety features, and support a significant payload to increase project efficiency. This advantage allows more personnel, equipment, and materials at hand, to save time and money. has led to the development of many of these hybrid features, and cannot not be found on any other competing units.